Tell me about how Kopifellas came about. Was it always one of your career aspirations? Any reason why you specifically chose this setting instead of creating a cafe on your own for your career aspirations, like so many others? What’s the best part about working at Kopifellas? How many people are working at Kopifellas? If a young person came up to you today and said, “I want to start my own business.” What advice do you have to fulfill their career aspirations? 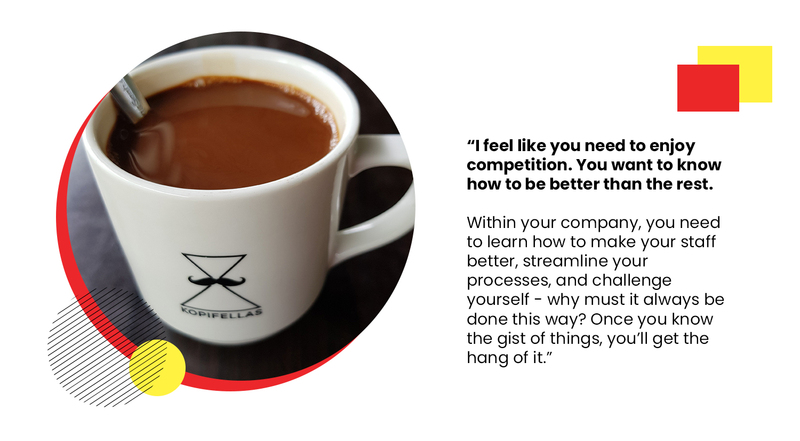 As a founder of Kopifellas, do you have any trading skills you utilise here? What do you think of the hawker scene? Is it dying in Singapore or is there still potential? So would you encourage more young people to go into the hawker life if it’s part of their career aspirations? Do you mostly hire young people? Are you guys still hiring now? 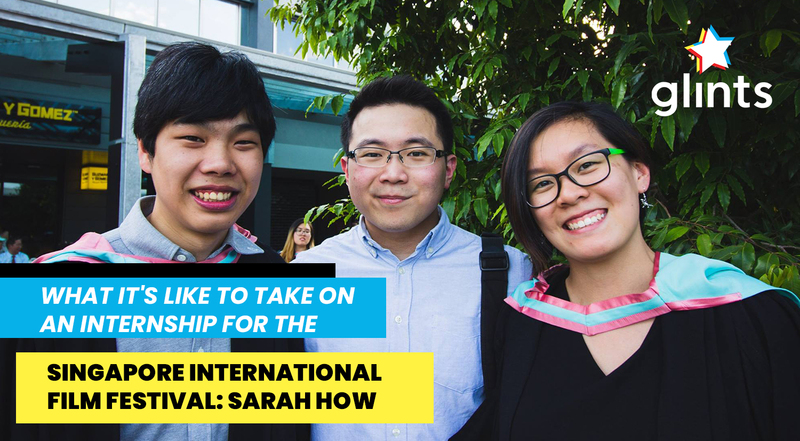 Ever wanted to become a young hawker? 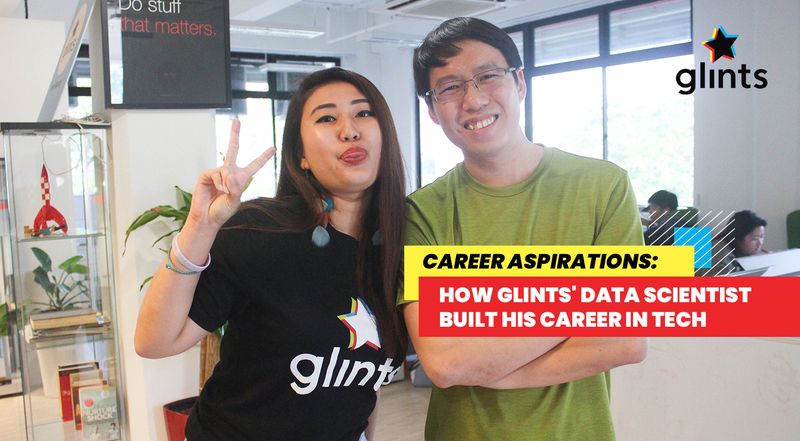 If it’s one of your career aspirations, you’ll like this interview we’ve got. 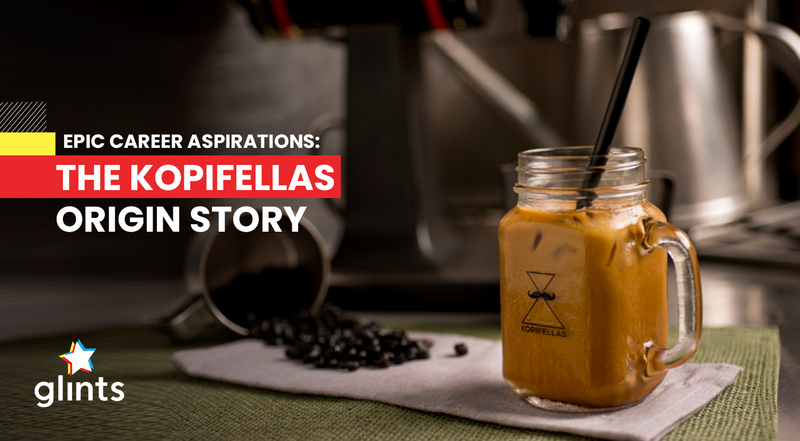 We spoke to Kopifellas earlier this week to learn more about the hawker stall’s origins and learned about what it takes to make it in a hawker’s world. If you’re a Westie, you’ll probably know about Kopifellas, situated at Timbre+, with its legendary ice kopi. Let’s dig into the interview! K: After graduating from NUS (studying business), I worked at Citi in fund management – I was a trader. Later, I got a bit sick of the corporate world – but I was always interested in doing my own business. My parents are business owners as well. I was quite interested in coffee; my family actually has a franchise, but I didn’t want to bring them in, it would have been complicated. I thought that coffee had a very good margin, there weren’t a lot of younger people who do traditional stuff like this. The plan was for us to learn the trade and try to make it more cool and young, but still selling kopi peng and kopi o. At the time, I had just come across this good location (Timbre+). We thought there was a good crowd here, and we wanted to try our luck. So far, we’ve managed to – that’s how we got here. K: Those are called third wave coffee [places]. Personally, I like traditional coffee and I think like… I enjoy the drinks from Toast Box. But stuff at the kopitiam… I think people don’t really care about quality – they’re more concerned about quantity. Sometimes people leave the coffee there and it’ll turn sour, or they’ll add more water so it’s less costly. I believe that we should be on our own level. I used to sit and watch Toast Box staff do it. K: I think there are different challenges and pressures here compared to a corporate environment. Previously, I did trading so there was a lot of mental stress. You need to study the market, come up with strategies, and think of your next move. Here, it’s both – it’s mental as well as physical stress because you’re standing the whole day. You also have to be fast. It’s crowded, so you want to be fast to capture more sales. That’s the physical part. Mental stress is because you need to worry about the business side of things. You want to make sure you have your products in, your inventory, the people you hire, getting people to cover when other staff fall sick. For the job specifics, I think as a coffee maker there’s a bit of stress. You need to think and remember the formulas when you deal with large orders. But it’s not too mentally challenging. It’s more physical. You just have to be able to hear the order and make it right away to be faster. K: I would think we need about five staff members at a time. For now, we’re around to make sure the shop is in order. We’re expanding to Toa Payoh in January, so I spend less time here. But we’ve been here for a year – we started in November last year. You need to find something you’re passionate about. I love kopi, even though I’ve been drinking a lot of bubble tea. I think if you’ve always been challenging yourself to be better, it keeps you engaged. Back then we’re always thinking of how to beat the market – in the trading world, if I win today, it means my competitors are losing. Over here, I feel like you need to enjoy competition. You want to know how to be better than the rest. Within your company, you need to learn how to make your staff better, streamline your processes, and challenge yourself – why must it always be done this way? Once you know the gist of things, you’ll get the hang of it. K: More from school actually. I was from NUS and studied business, and I was a finance manager. I used to do profit and loss, balance sheets, I knew a bit of marketing as well. It’s probably mostly the mindset you bring over. You want to be challenged. K: I think it’s dying because the rental is killing our people. Competition as well. I think now the government is changing – but let’s not talk about Timbre+. First generation hawkers get cheaper rental because they’ve been there a long time, so their rental is like $200-$300. If you have to compete against these guys who sell kopi for 60c, you’ll probably die. The government knows this, so that’s why there are privately-run hawker centres, like in Pasir Ris, Tampines Hub, and Timbre+. I think everyone will be on a level playing field. If newer, younger hawkers have to deal with higher rental fees, it’ll be difficult. Now the laws are changing – passing down hawker rental licenses, the price will continue to increase. There was one license that went for $200K, so that’s crazy. In the past, you can keep trading licenses and changing hands, so it became a sort of a black market. But the government has said that if you’re a first generation tenant, you can pass it on to a second person, but if that person doesn’t want to own it anymore, it has to go back to the government. So everyone gets the same rental rate. I still think young people feel it’s tough – I think they prefer to work in cafes than at a hawker. K: If you make your own business. Against a corporate life, we’re doing well. Even though we once worked 13-hour days – we used to come at 6AM and leave around 7PM or later. K: I try to. But I need a balance – I need people who are experienced. We’re also doing fishball noodles, bubble tea – so I need experienced people who know how to cook. For young people, they’re easier to teach – old dogs don’t like new tricks, you know? So they’ll be able to learn how you make the coffee. An older worker isn’t receptive to change. But you need more time and patience for young people, and at the start, you can’t have all new people. There needs to be a balance. So I’ll teach the young people while the experienced people anchor the shop. Talk about an inspirational kopi chat. If becoming a hawker is one of your career aspirations, consider following in Kopifellas’ footsteps. Looking for your dream job? Want to fulfill your career aspirations? Hop onto our platform and discover new opportunities today!